A crown can restore an individual damaged tooth back to its original form and function, while a bridge can replace one or more teeth. They are cemented onto the teeth permanently. A crown is a prosthetic placed over an existing tooth to create a smoother, cleaner look, and enhance strength and durability. When a tooth is fractured, has an outdated filling, or is severely damaged by decay, the placement of a crown may be recommended. Crowns strengthen and protect the remaining tooth structure, and can improve the appearance of your smile. Types of crowns include the full porcelain crown, the porcelain-fused-to-metal crown, and the all-metal crown. Dental crowns can restore more than the appearance of your teeth. Since a crown is made to be the same size and shape as your natural tooth, they can help to keep your jaw and bite aligned. This also helps to stop your other teeth from shifting locations, or taking on a greater share of the work of biting and chewing, which could, potentially, result in TMJ pain. Today’s crowns are a great option when damage or decay is so extensive that filling materials cannot make the tooth strong enough. Crowns are most often made of gold or porcelain, but can also be made of stainless steel. Porcelain crowns are carefully matched in color to look like your natural teeth. Many people choose porcelain crowns for their cosmetic appearance. New materials are now available that allow the use of “all-ceramic” crowns in some cases. Some people prefer not to use gold, because it stands out from the other teeth in appearance. At the same time, if the crown is on a back molar, some people feel the cosmetic issue is not a big one. Once your crown is in place, make sure the area is brushed well, and that you floss below the gum line. While the crown protects your remaining tooth from further decay, you must protect the base of the crown from bacterial growth and gum disease. Regular brushing and flossing will help ensure that your crown will last as long as it can. When tooth loss occurs, dentists often recommend the placement of a bridge. Designed to replace missing teeth and support surrounding teeth, a bridge is a grouping of interconnected crowns. Held in place by two crowns, a bridge can reduce the risk of gum disease, help correct bite issues and even improve speech. Bridges are effective and durable, and can last in excess of 10 years. First the dentist prepares and shapes the teeth on each side of the space to receive crowns. Then, an impression of the area is made. Once the crowns are finished, the false tooth (or teeth) will be bonded to them. When the bridge is ready, a temporary (or transitional) bridge is formed and fitted in the area. During your next visit (usually a week later), the temporary bridge is removed, and the permanent fixed bridge is placed, adjusted and cemented into place. Help you protect your overall oral health. As we age our bodies start to break down, and that includes our teeth and gums. Restoring natural teeth that have been damaged, decayed or lost is important for good oral health. 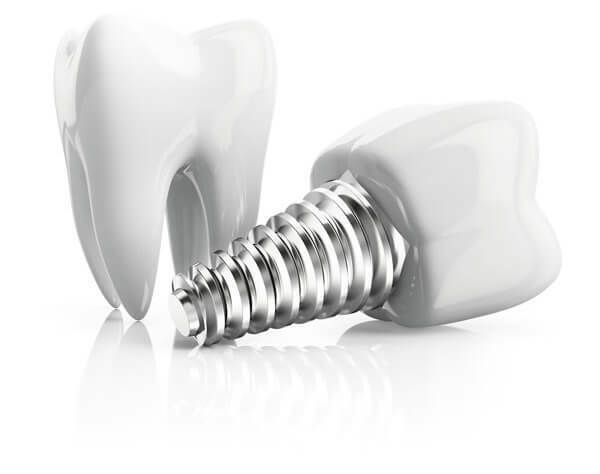 Crowns and bridgework can correct missing teeth, misaligned bite problems, and functional issues.